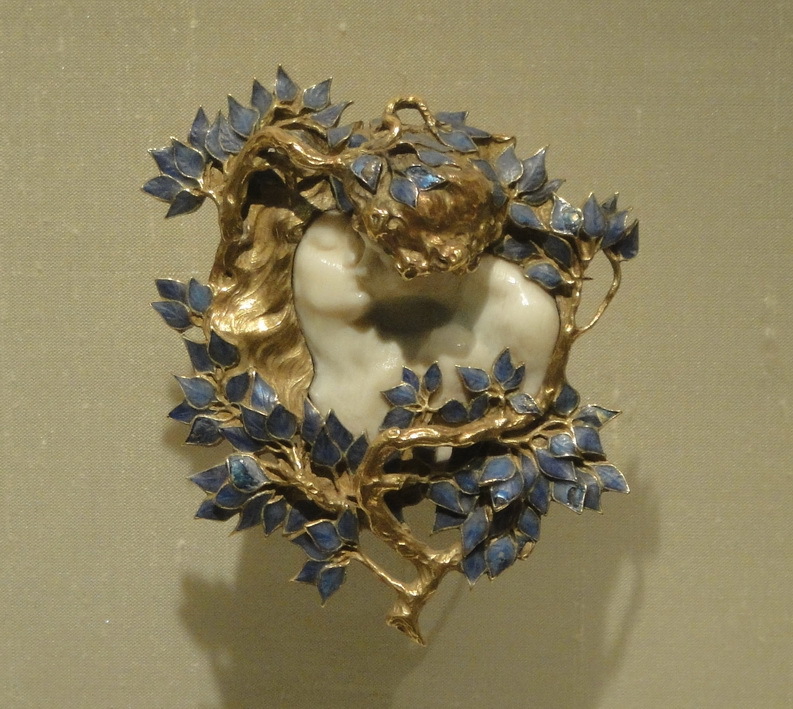 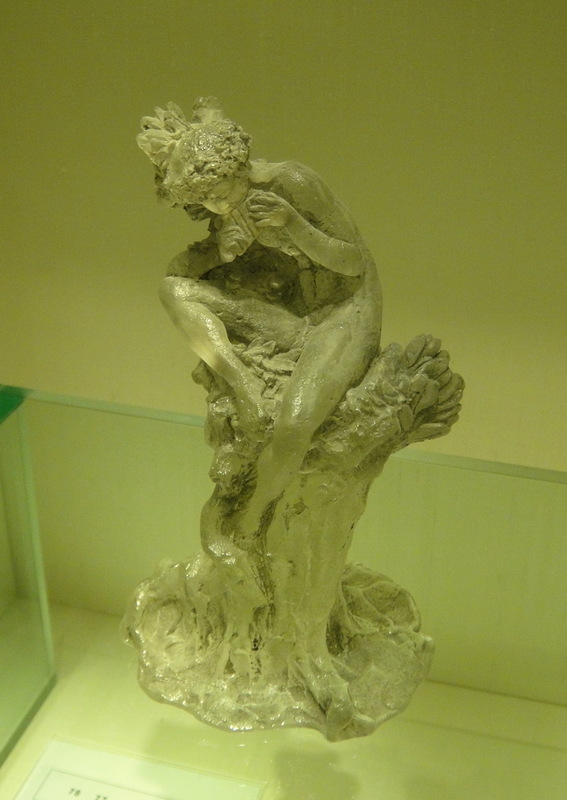 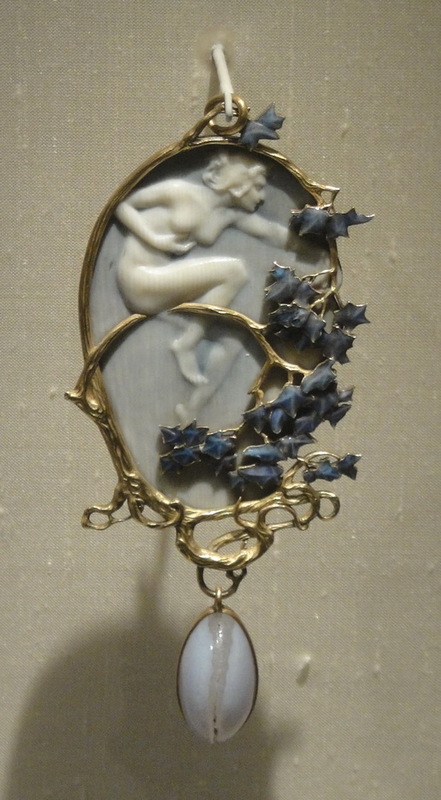 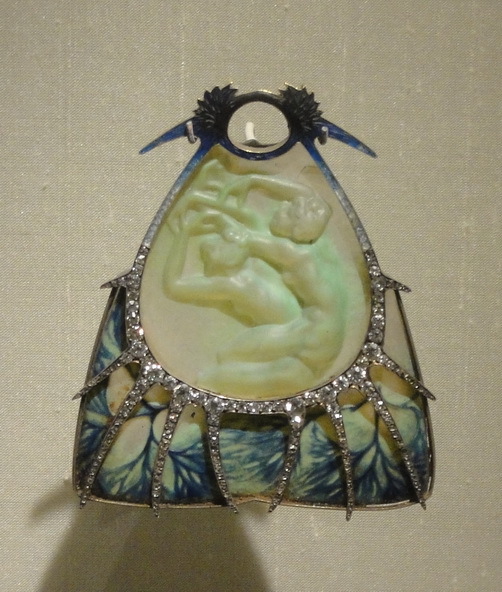 Having established his reputation as a daring designer of jewelry — one often using innovative glass effects alongside gems — Lalique devoted himself to mass production of cheap collectible glass. 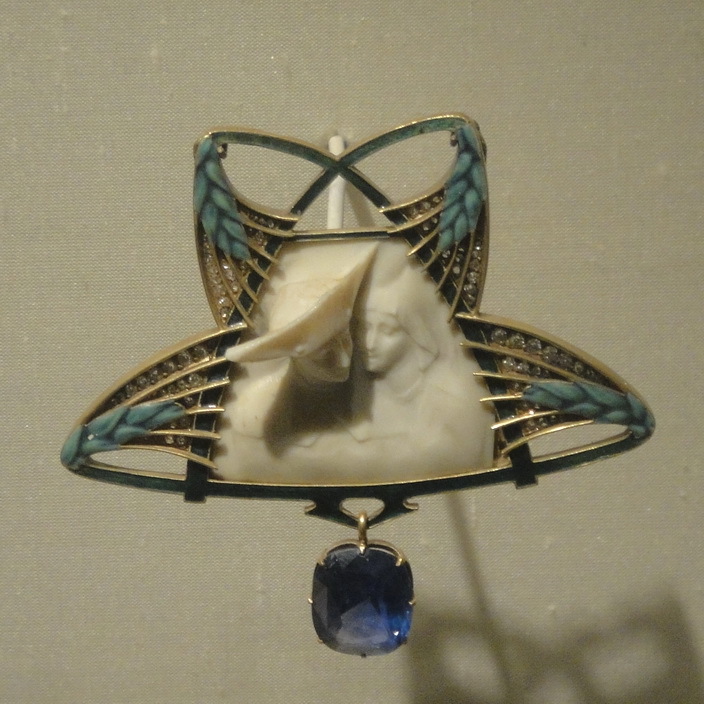 One suspects one reason for this was the economics of design: even today great brands make more money in $15 T-shirts (where the volume is) than they make in haute-coulture dresses at $5,000 a pop (where there ain’t). 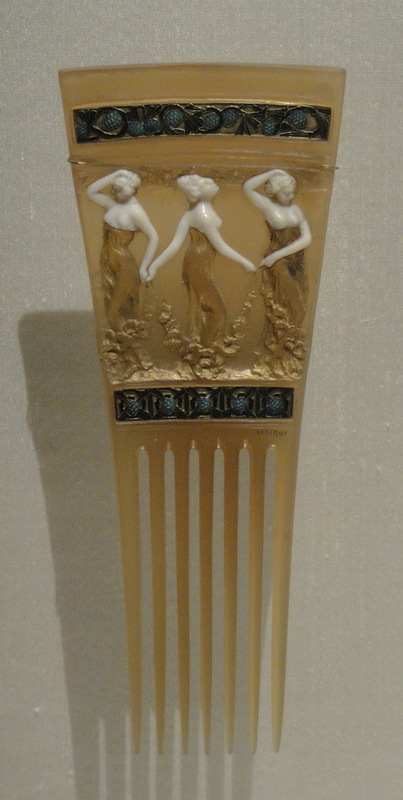 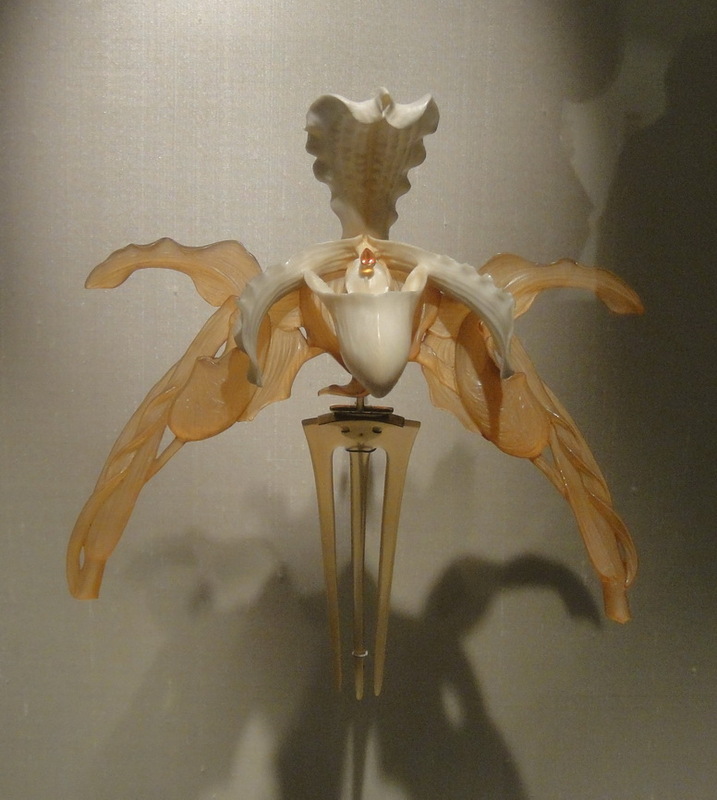 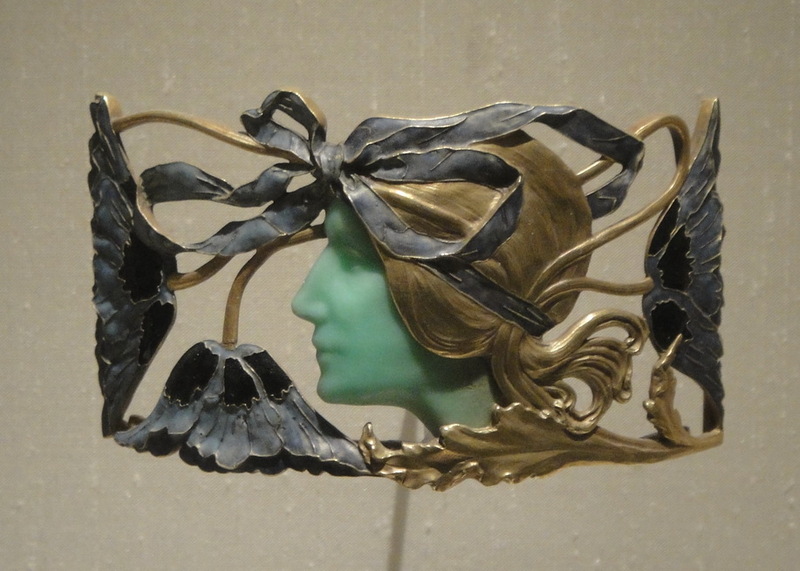 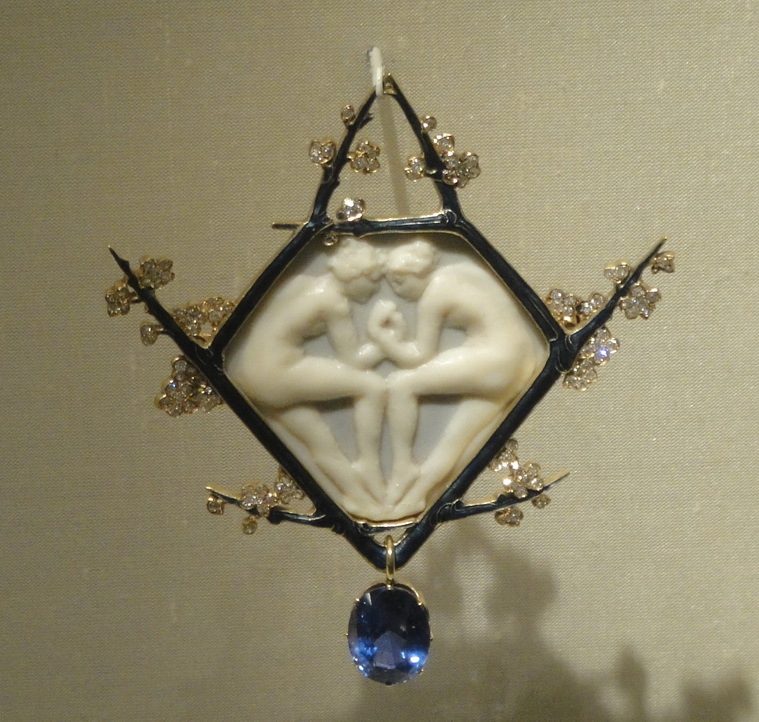 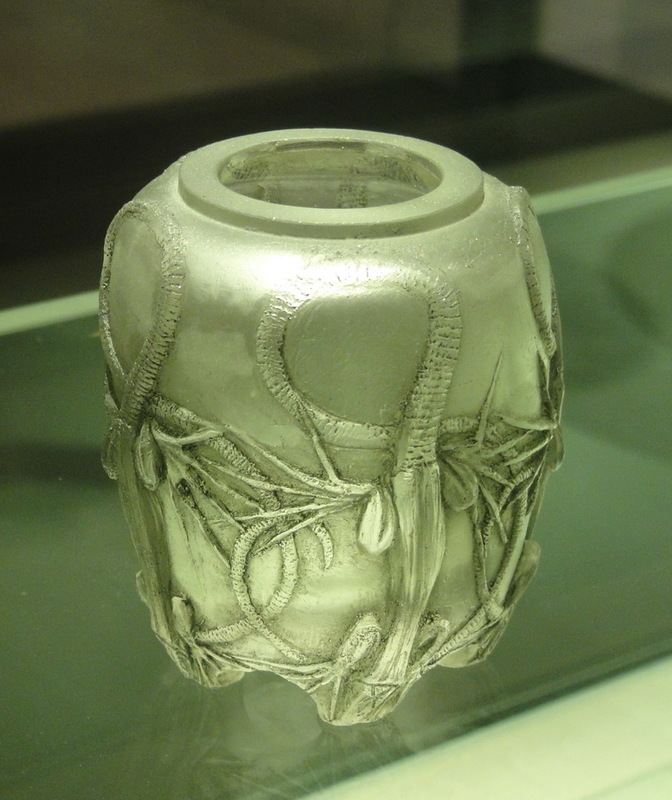 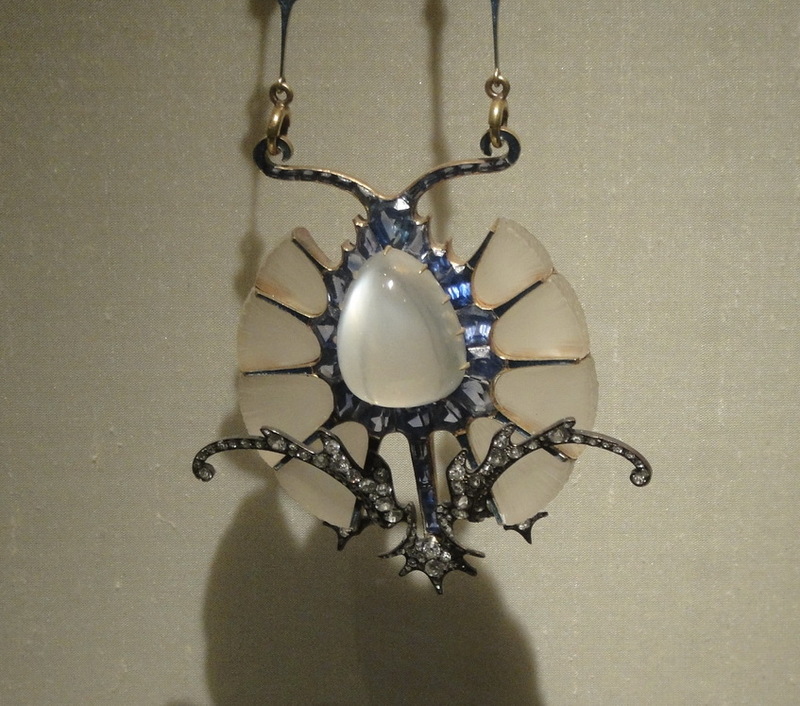 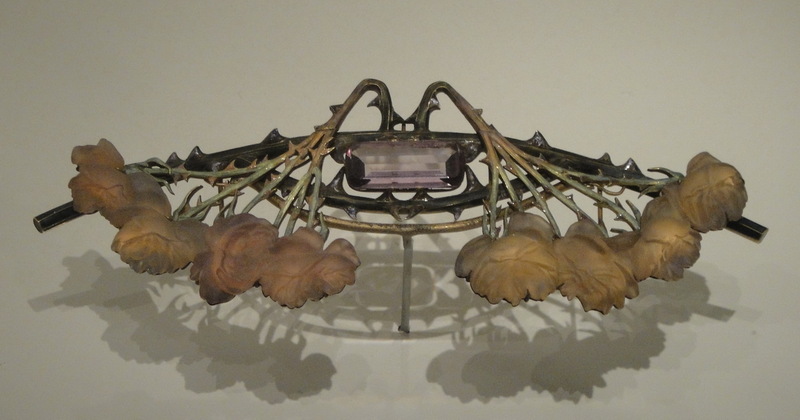 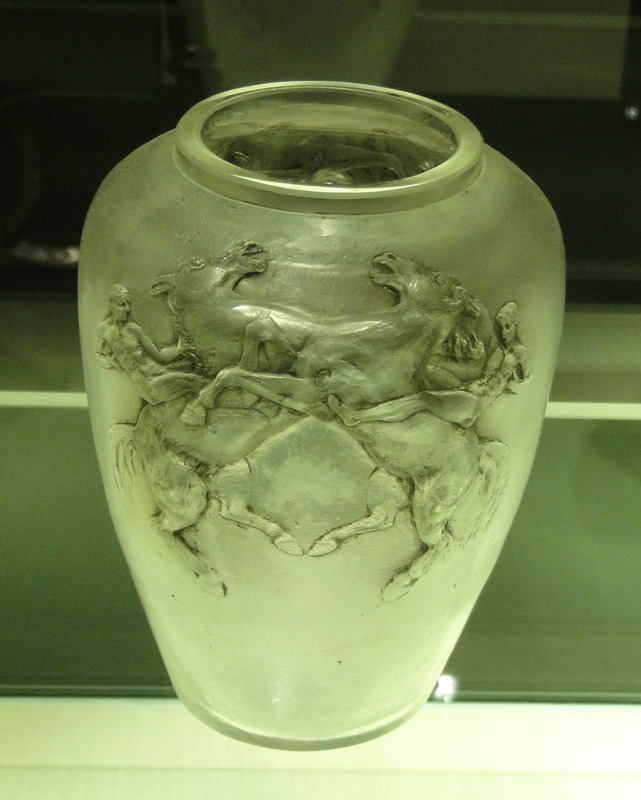 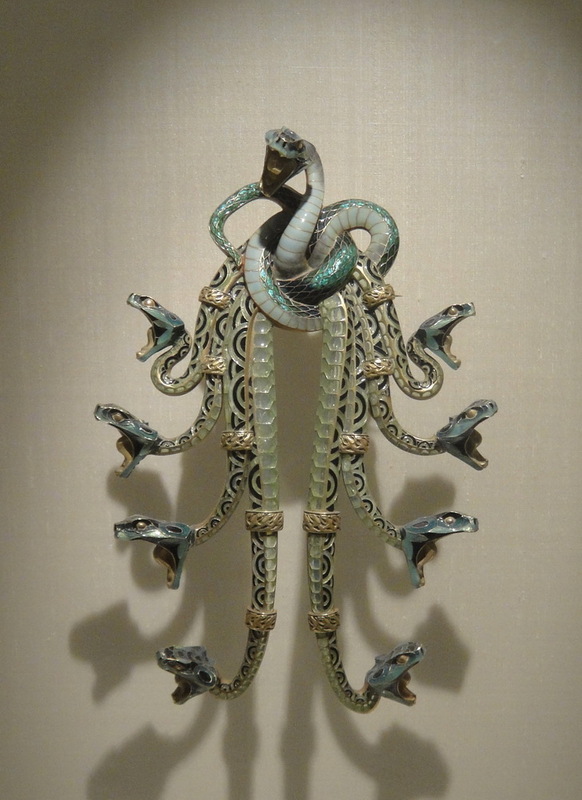 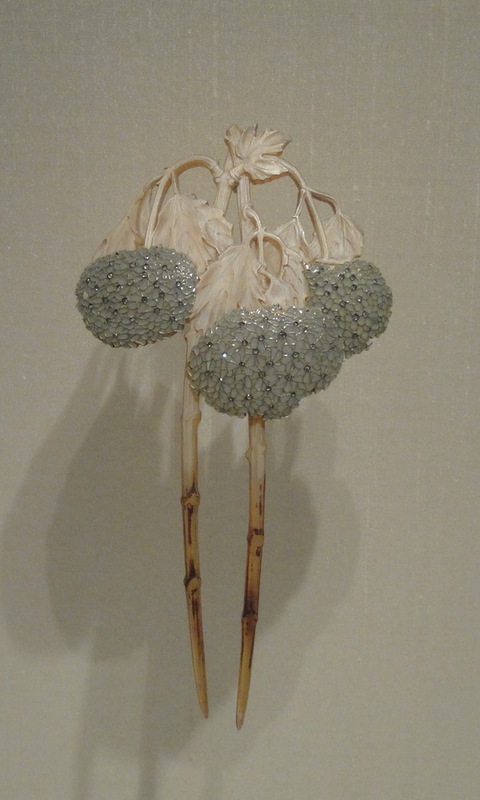 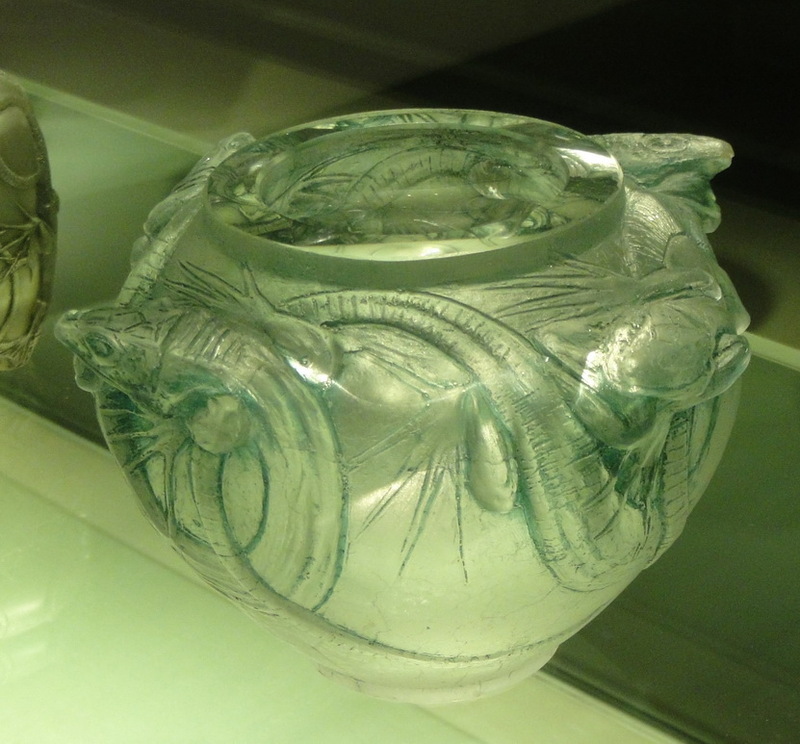 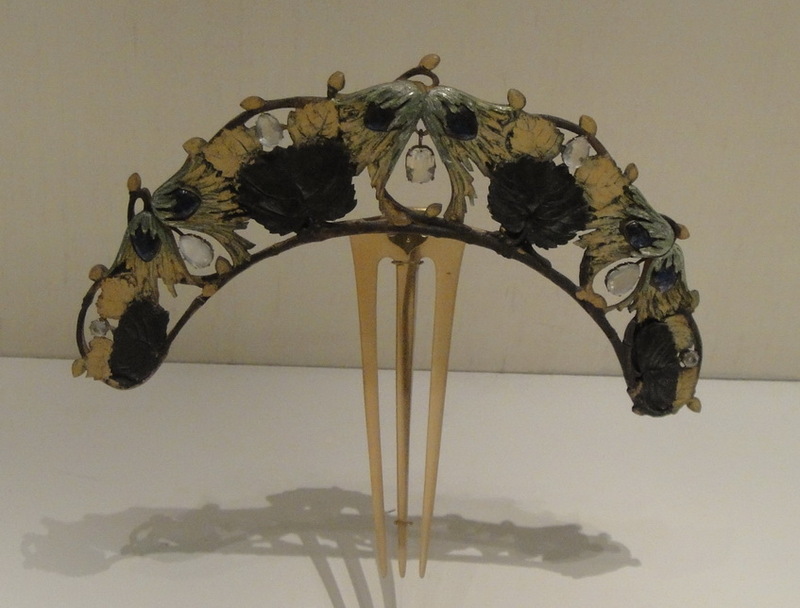 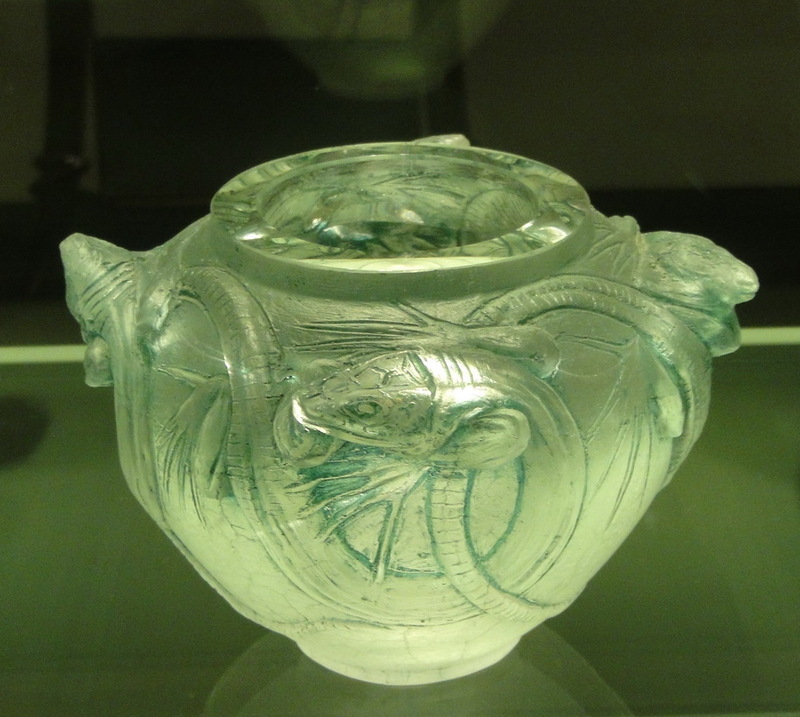 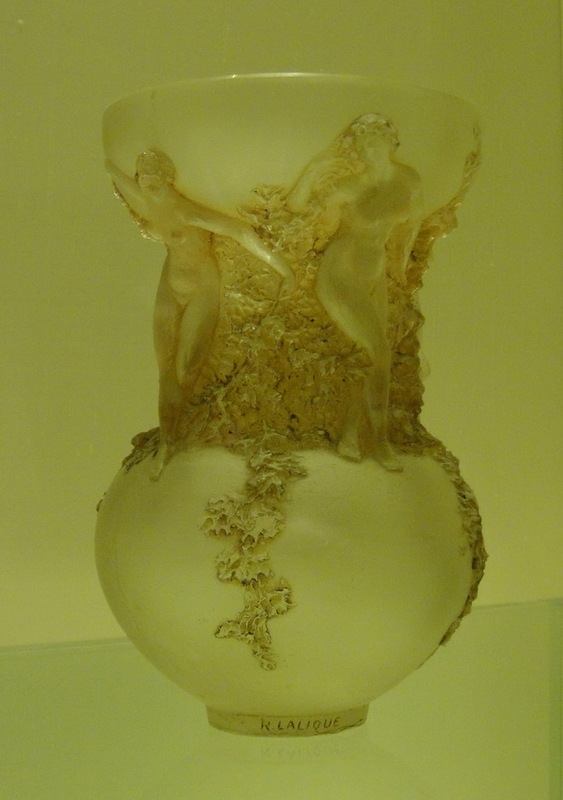 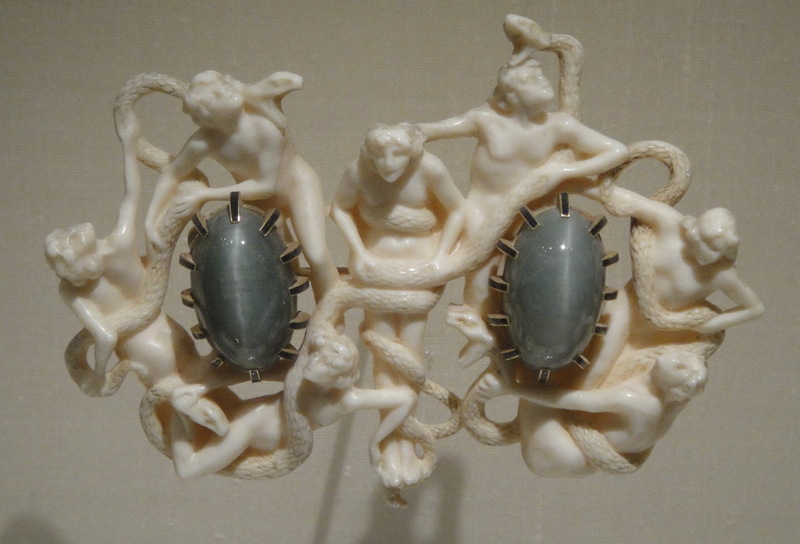 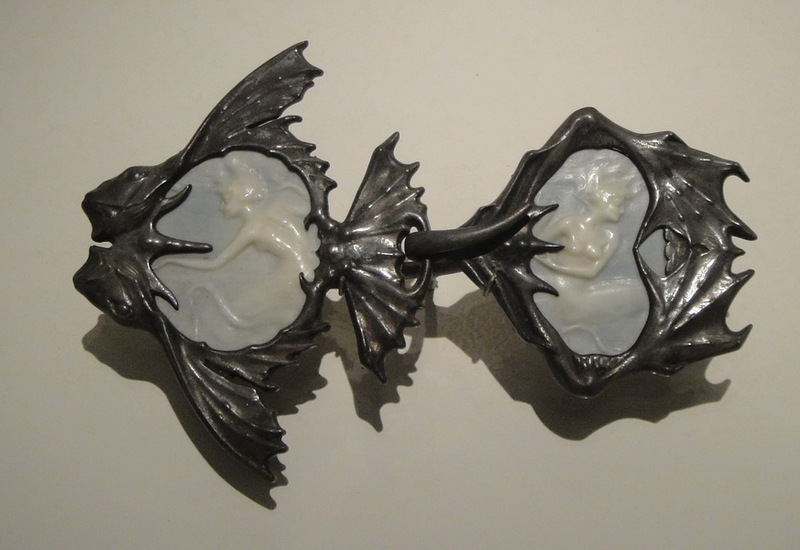 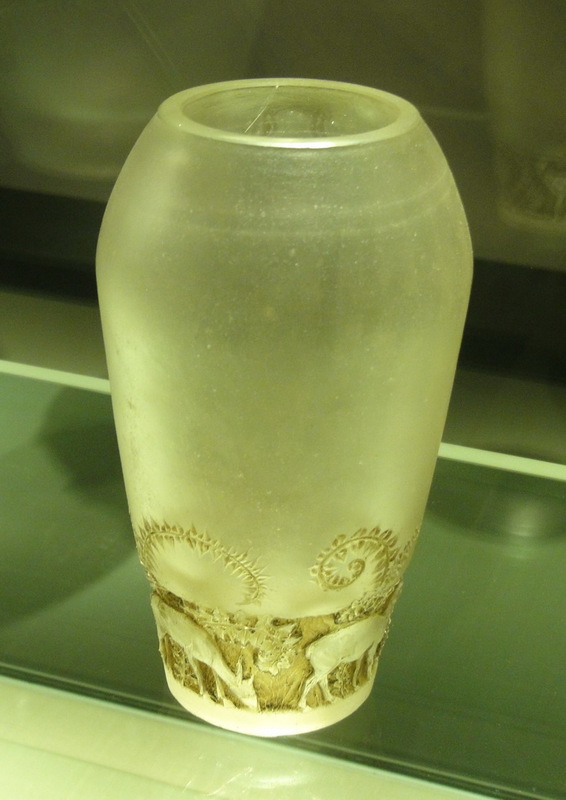 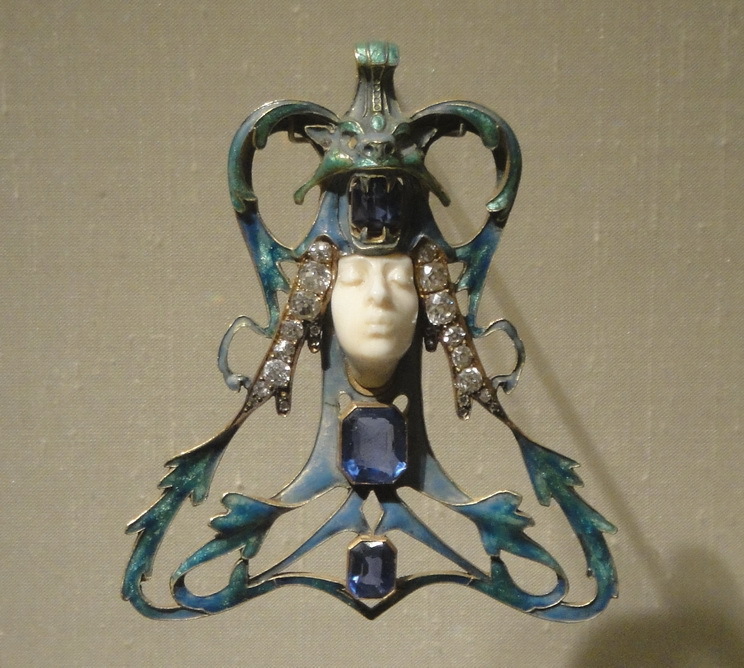 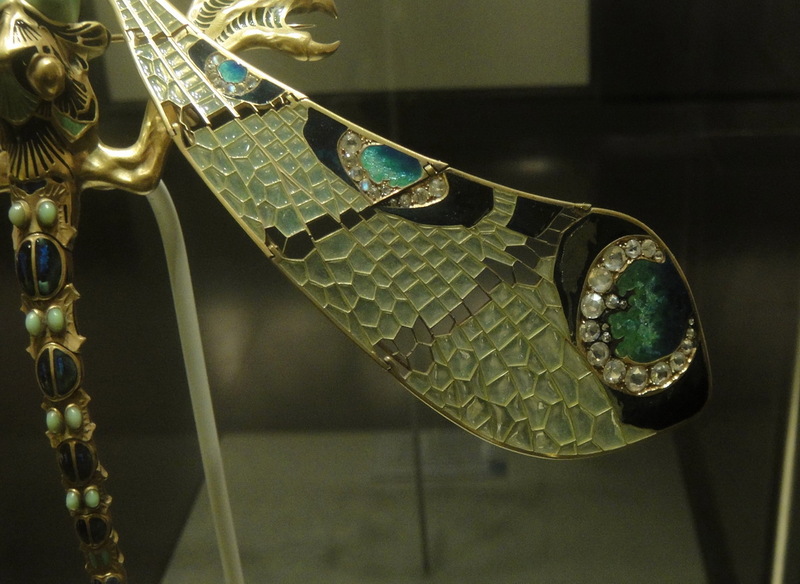 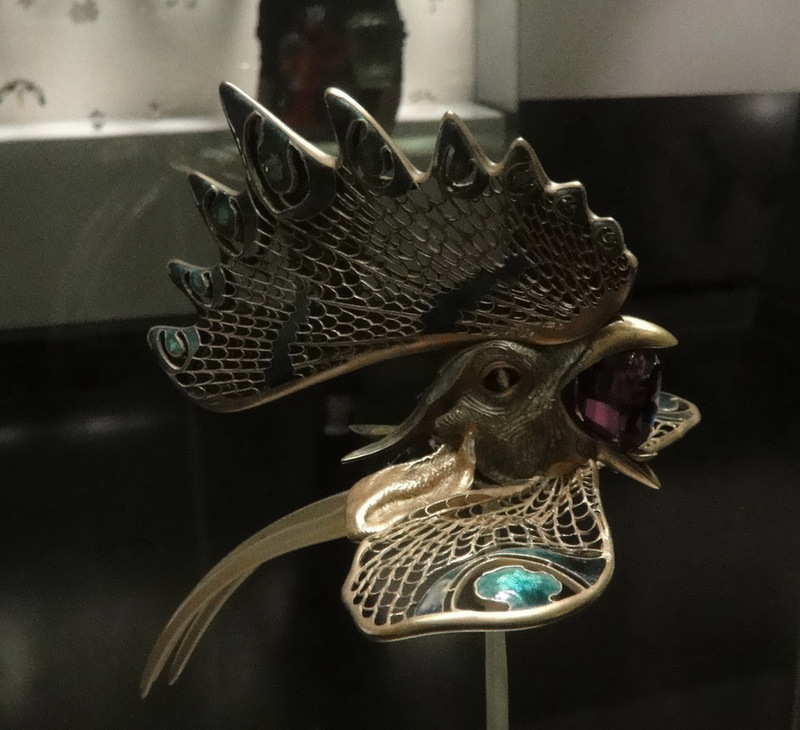 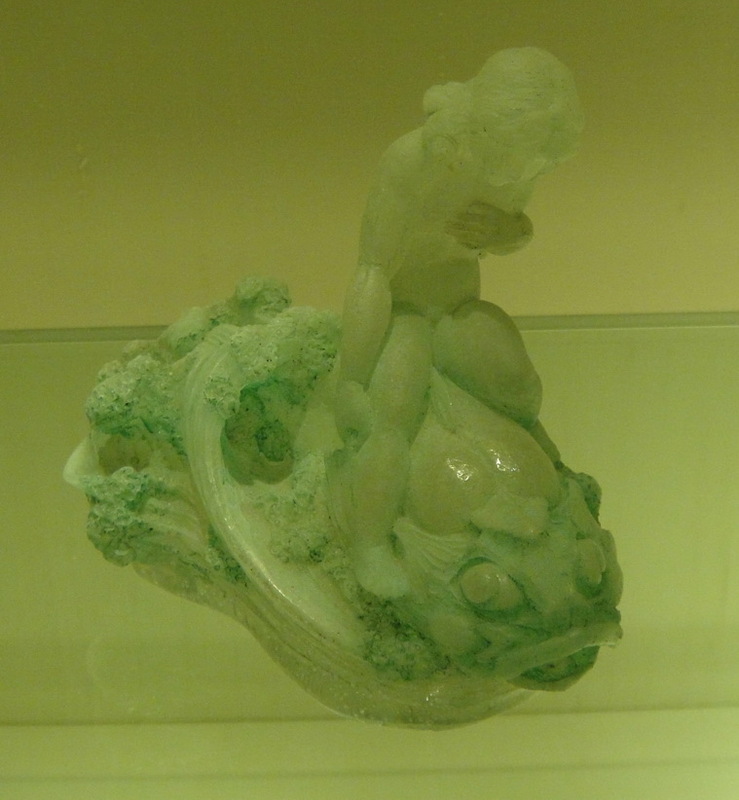 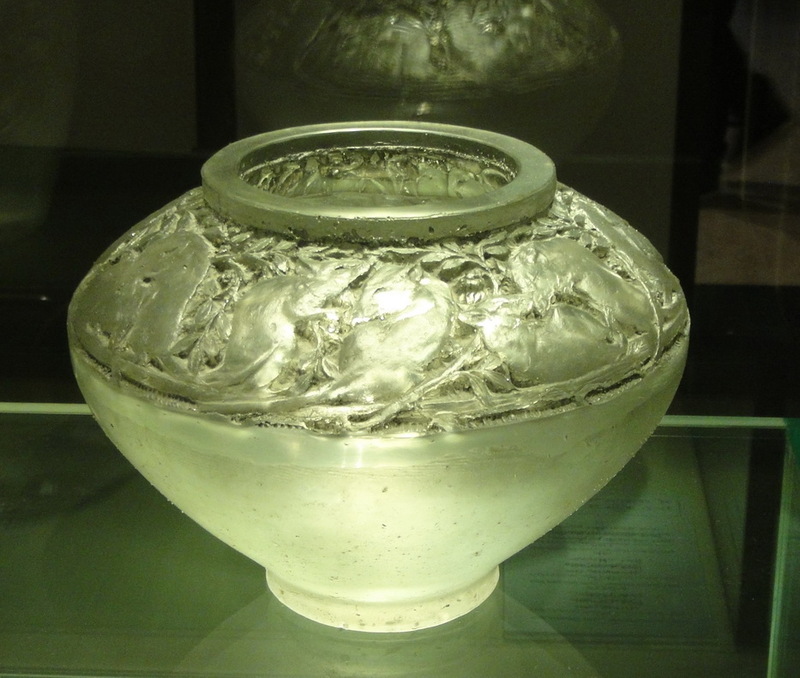 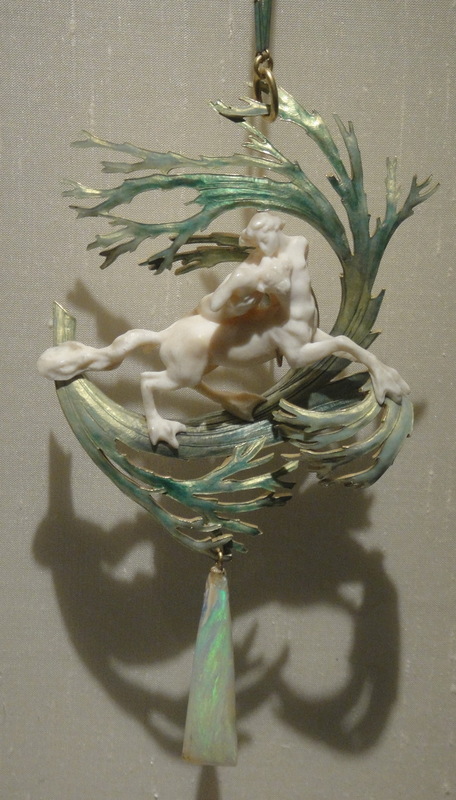 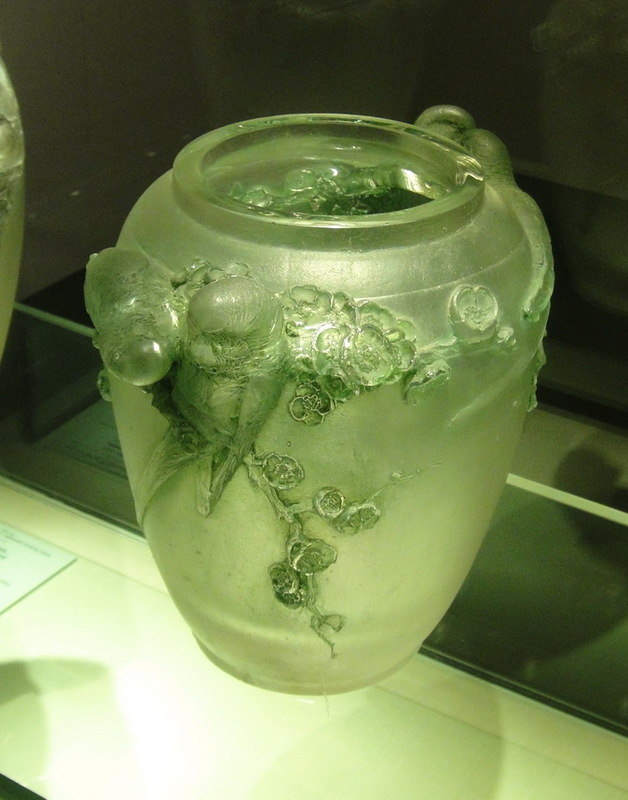 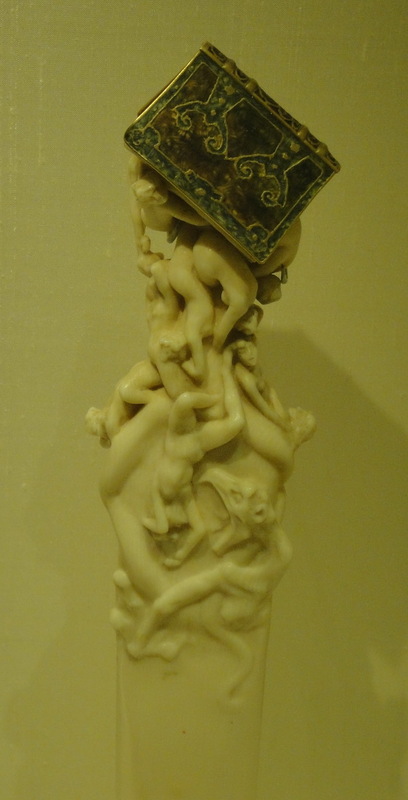 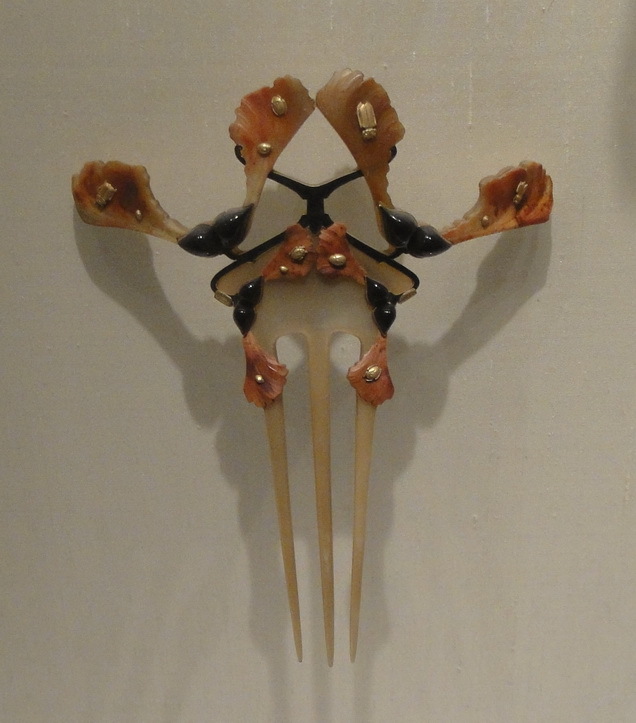 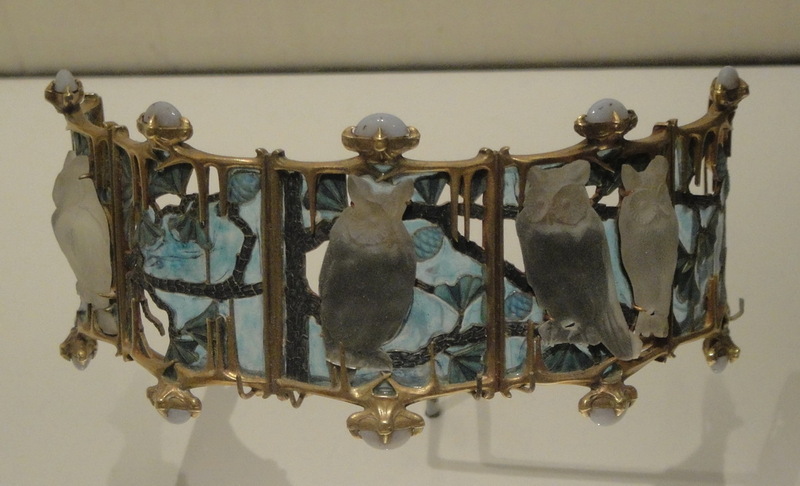 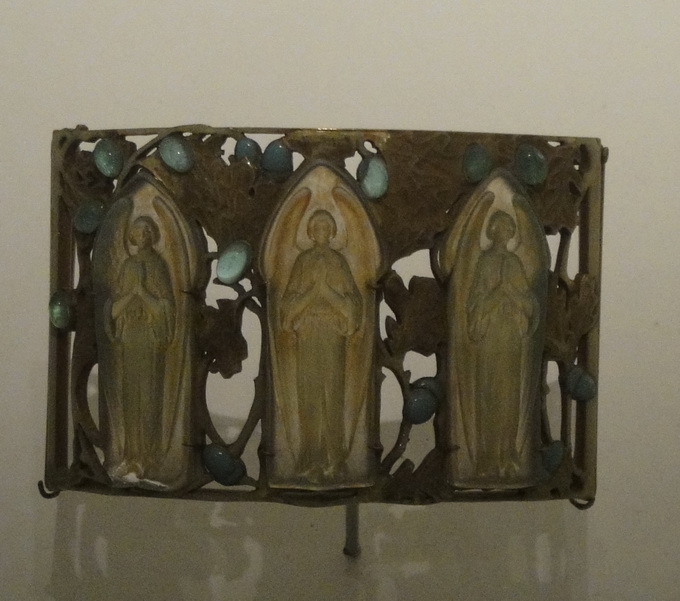 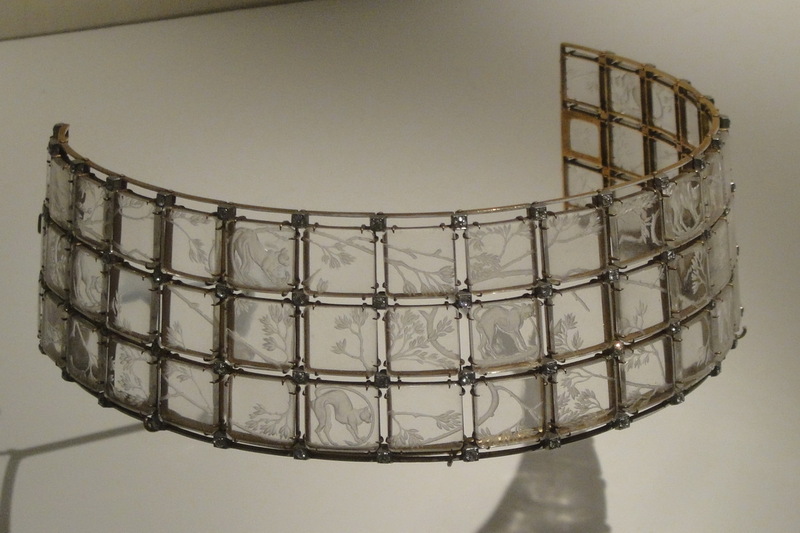 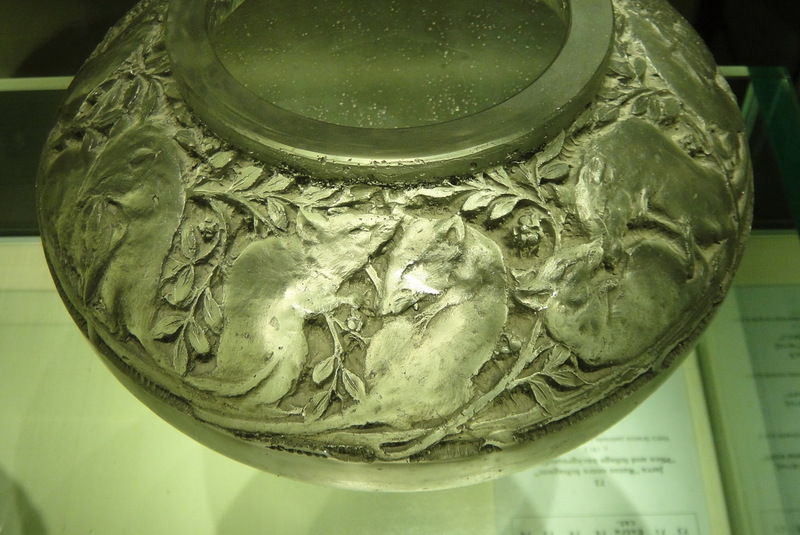 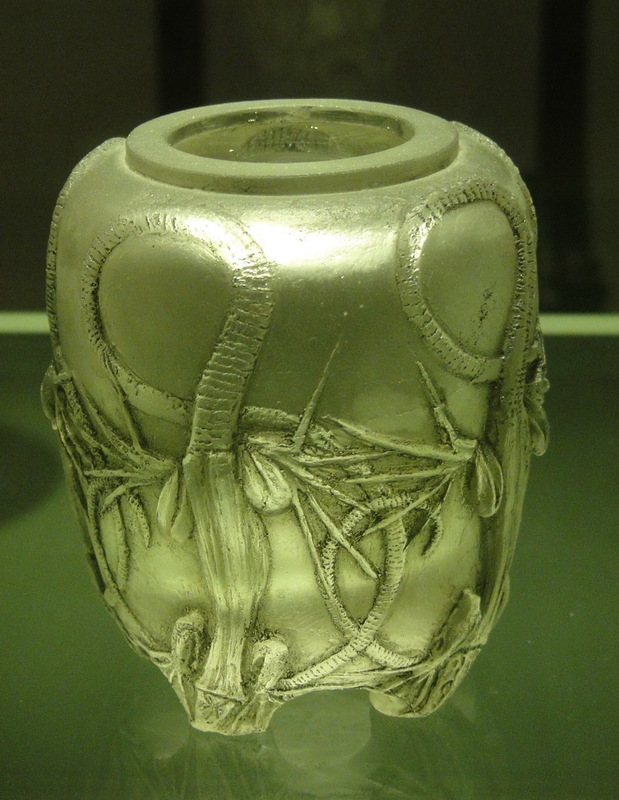 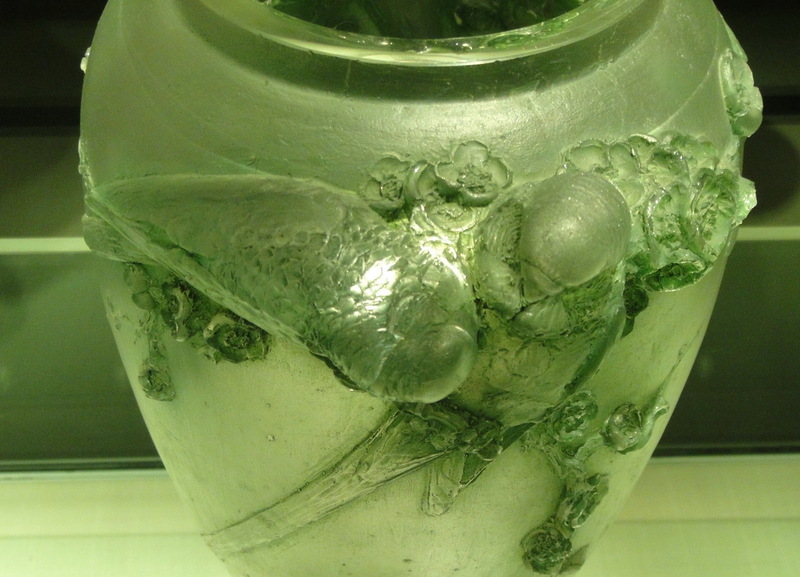 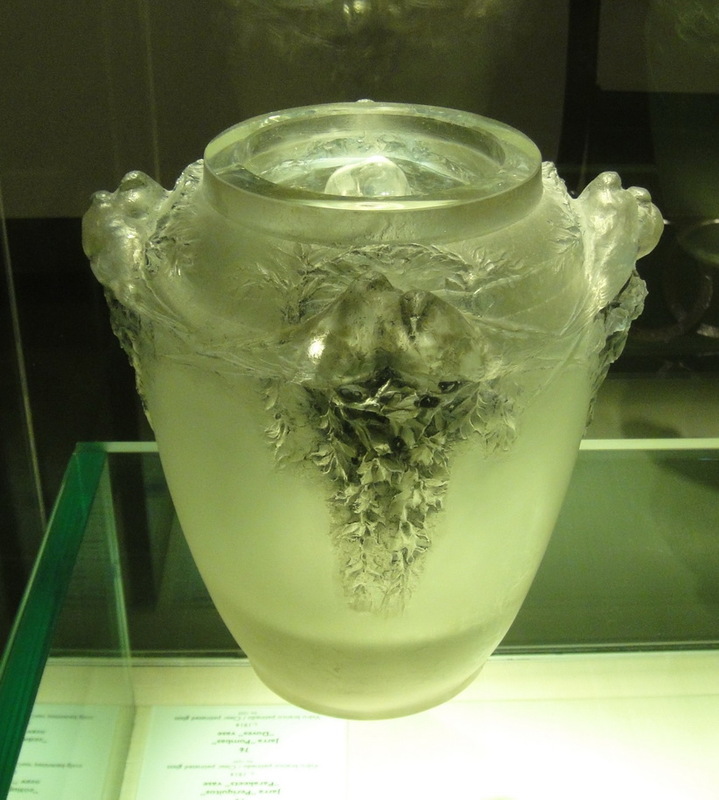 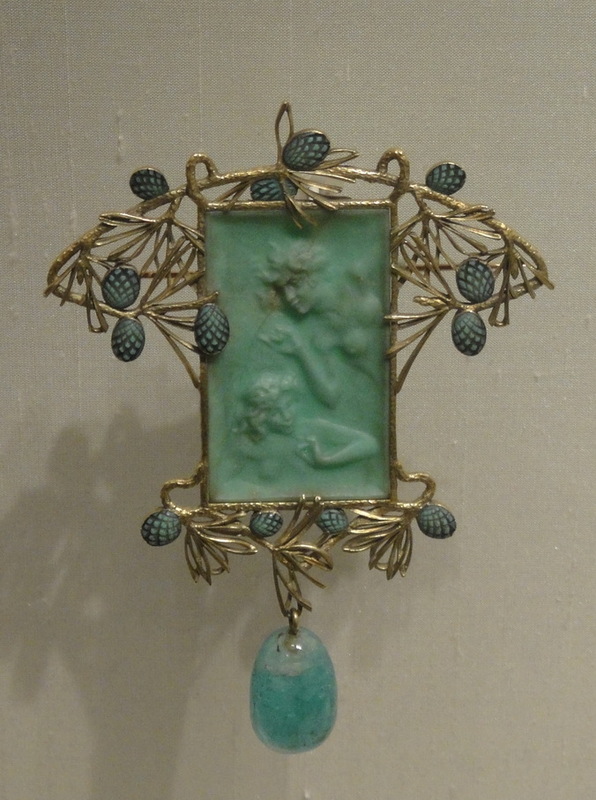 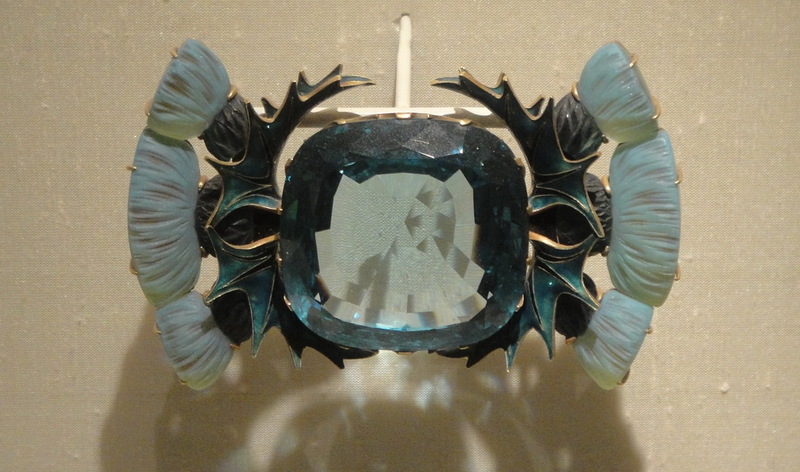 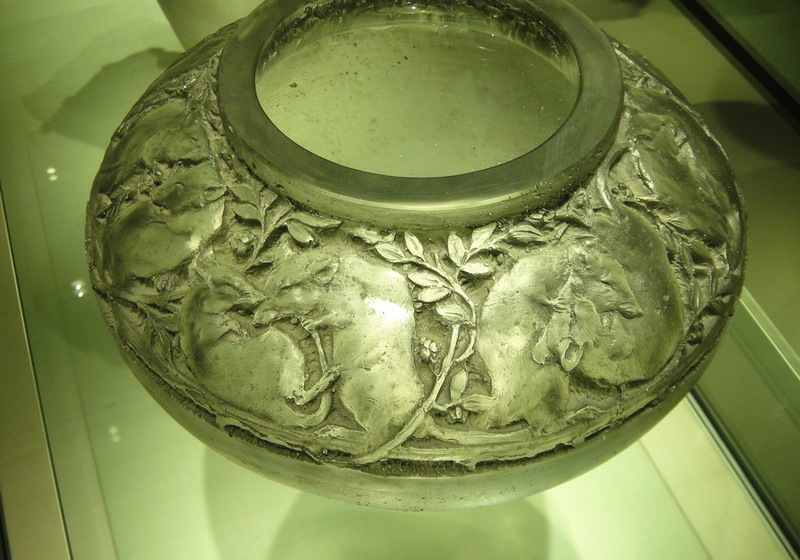 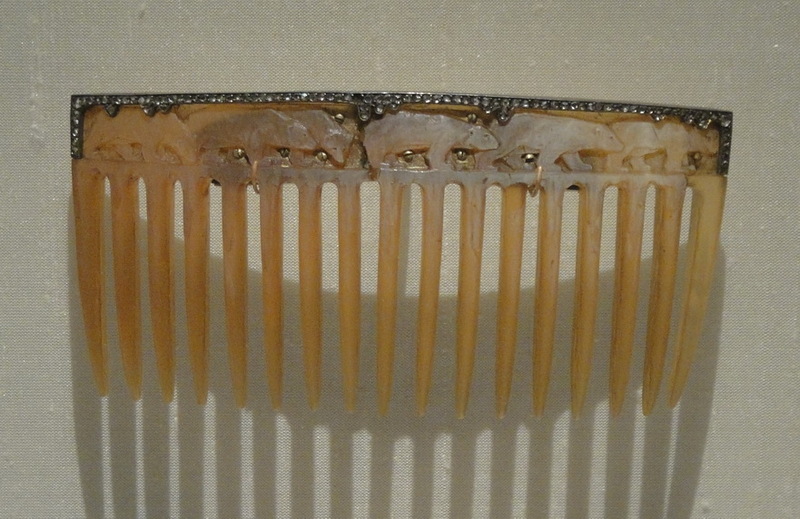 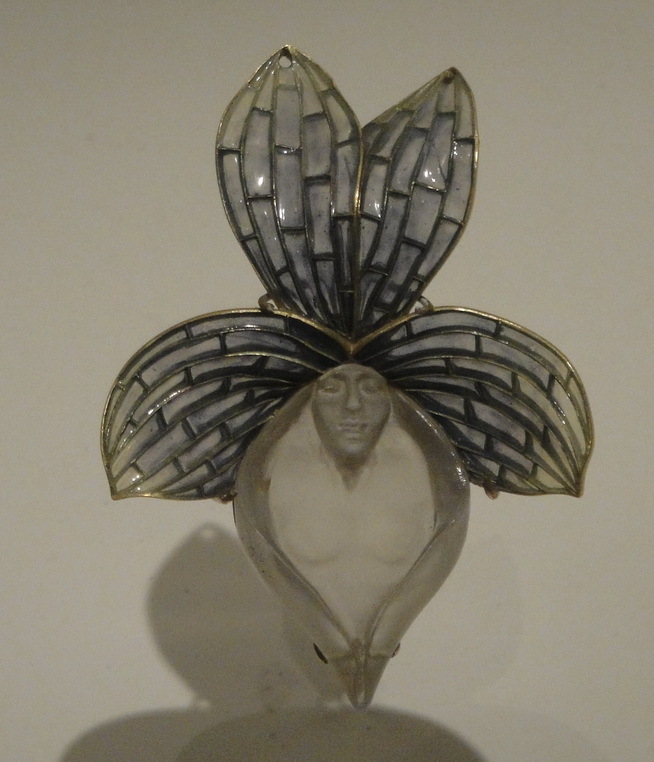 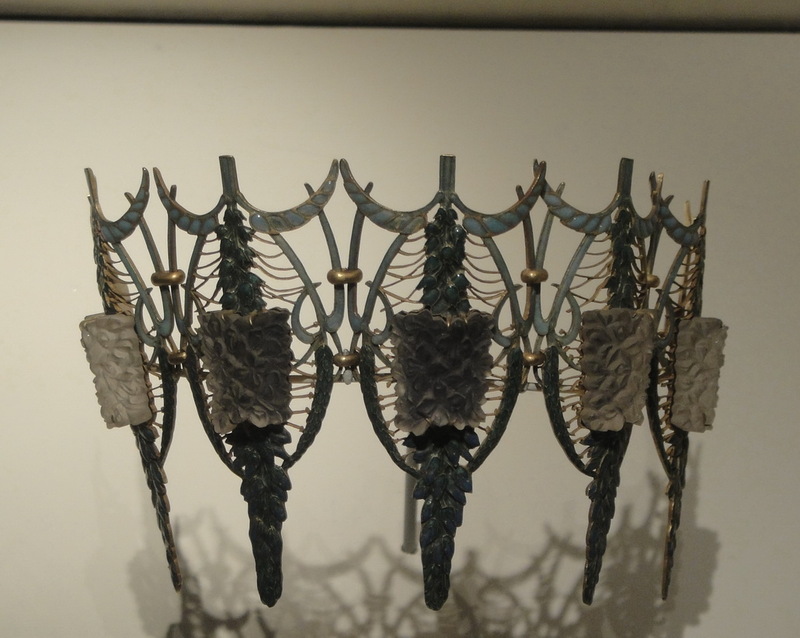 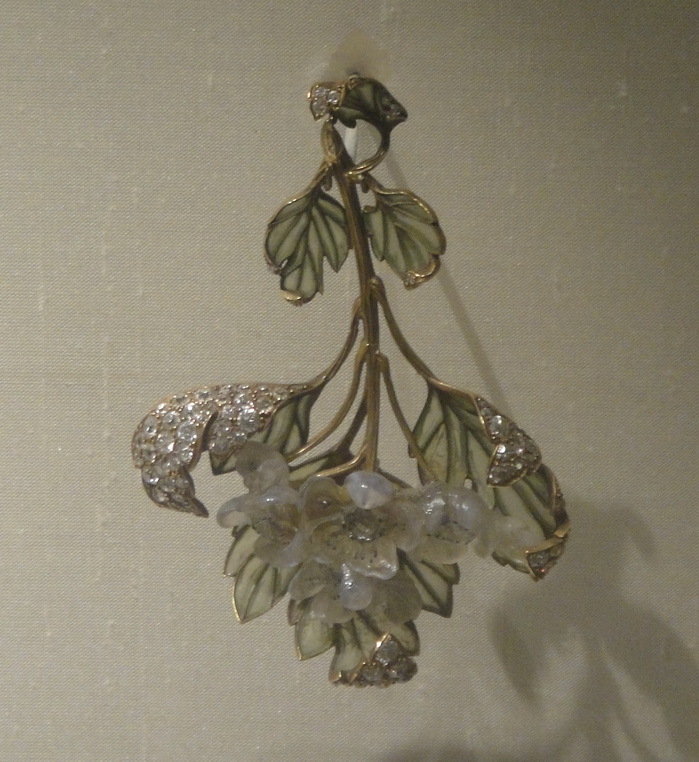 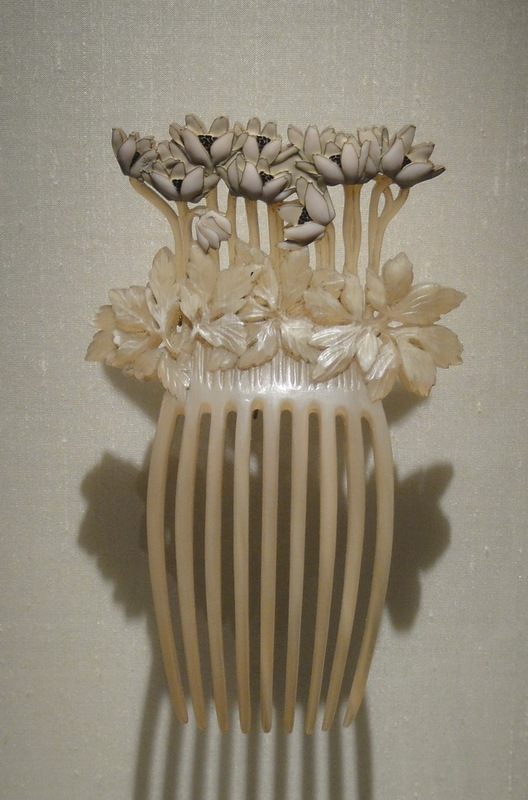 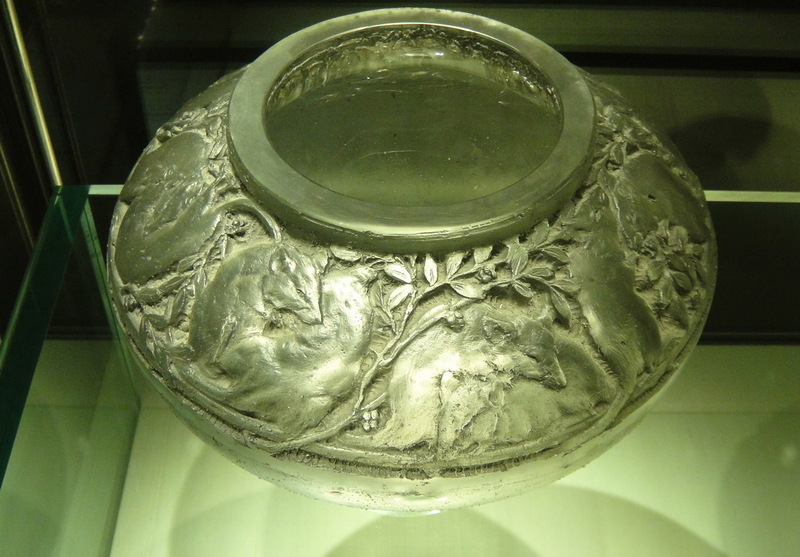 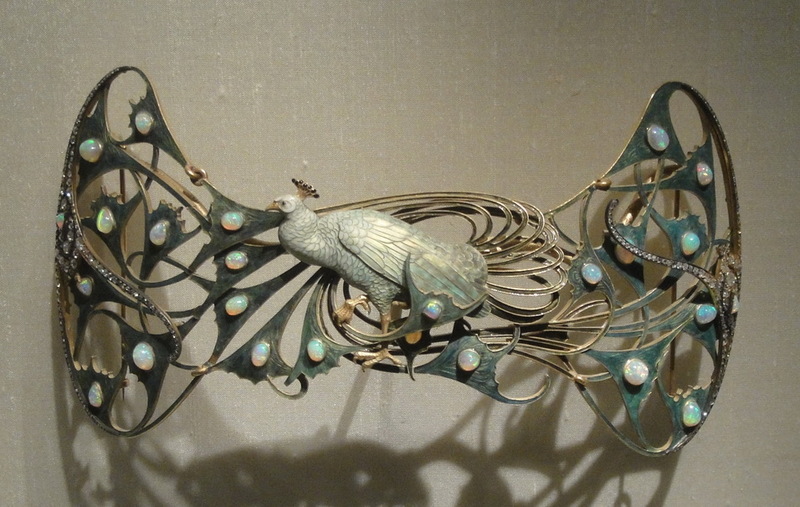 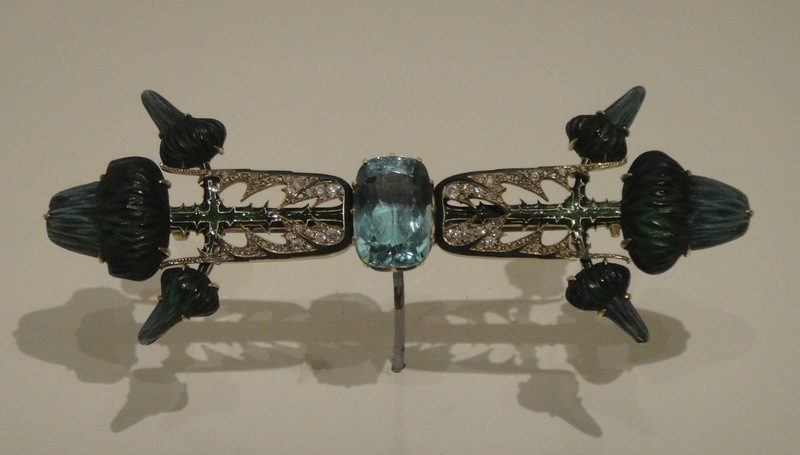 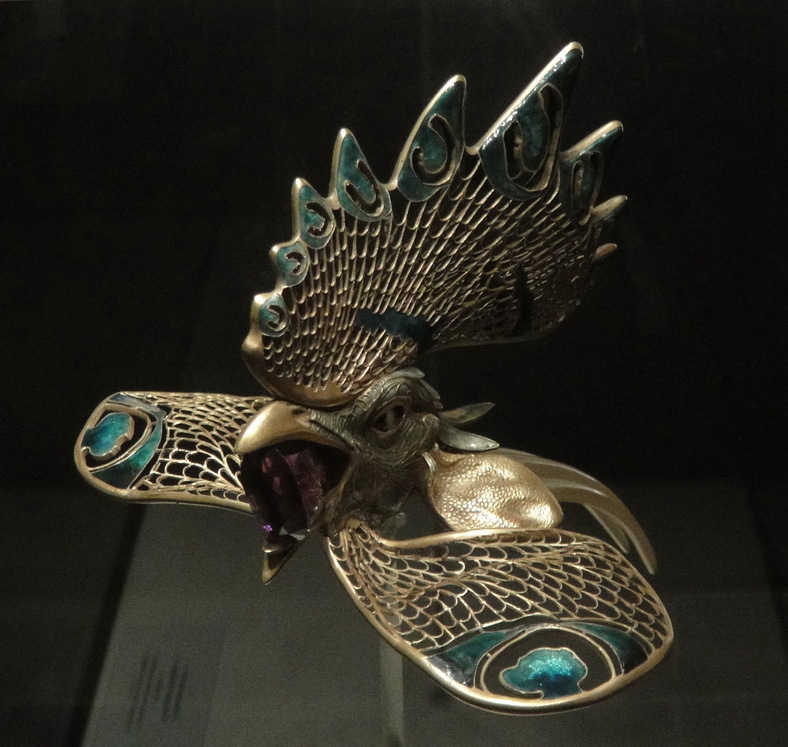 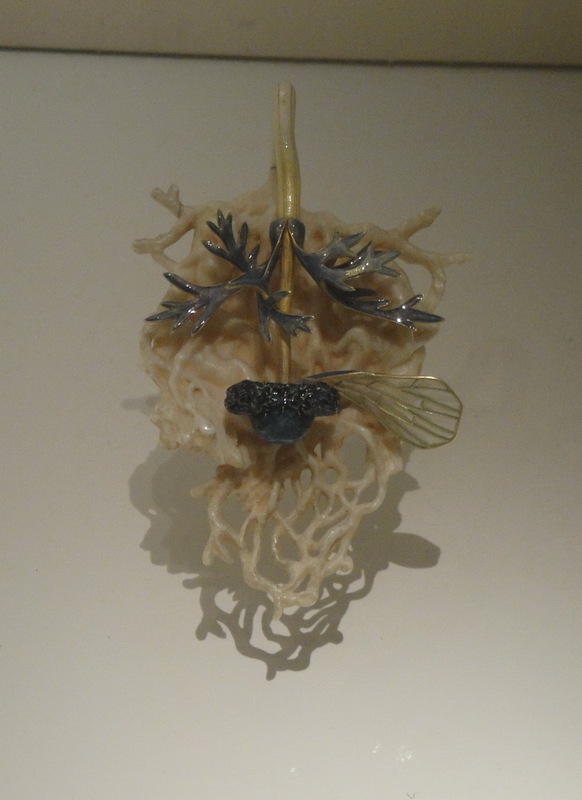 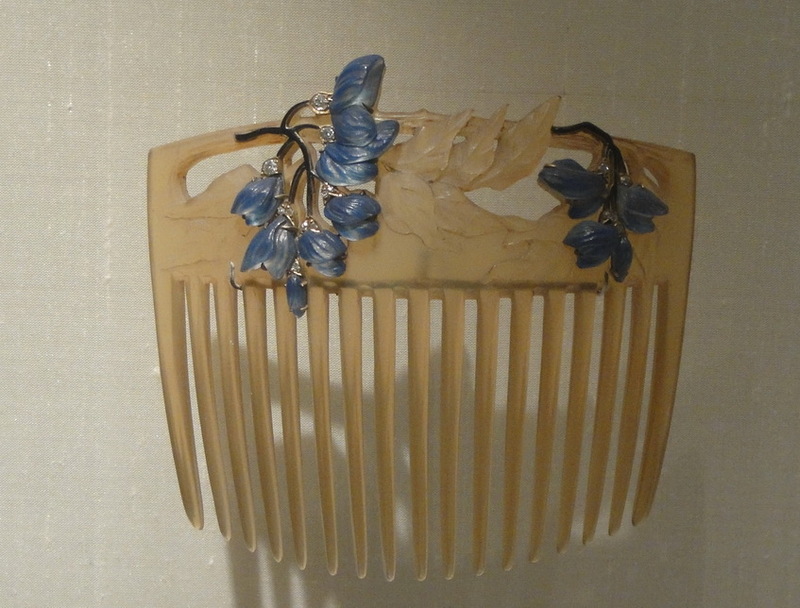 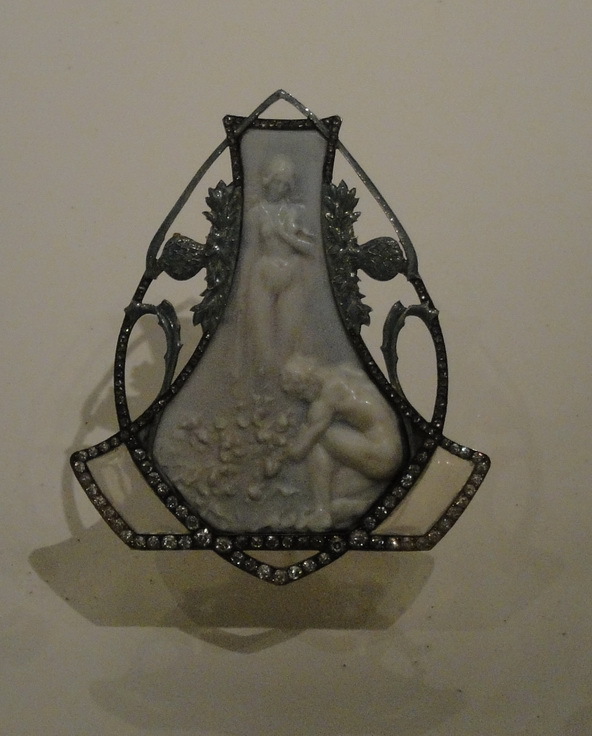 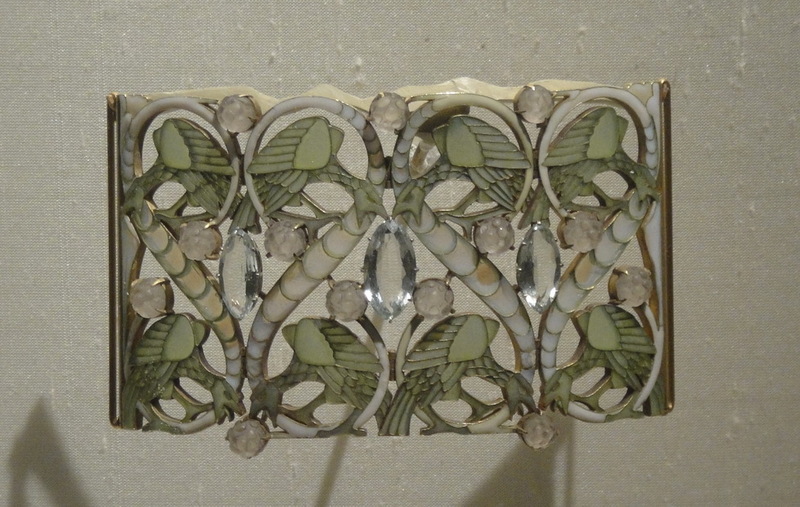 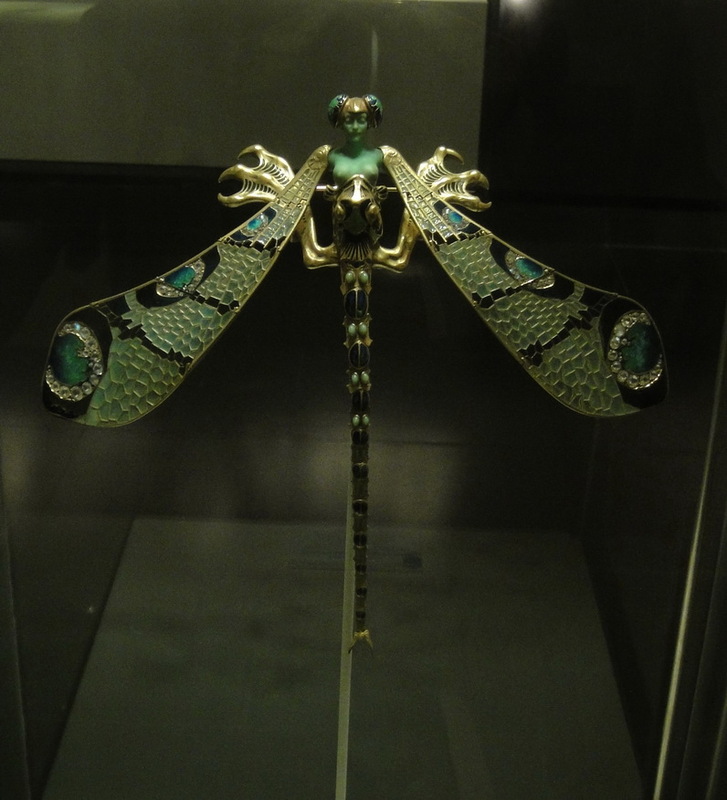 But one also suspects Lalique liked to work in glass more than he liked to work in jewels. 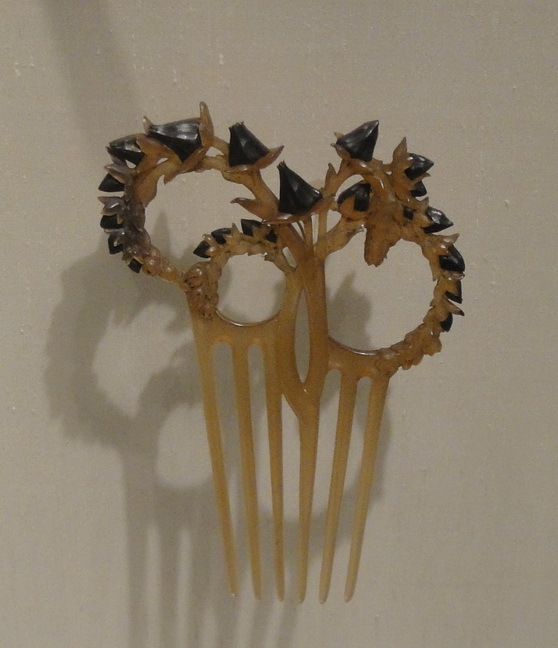 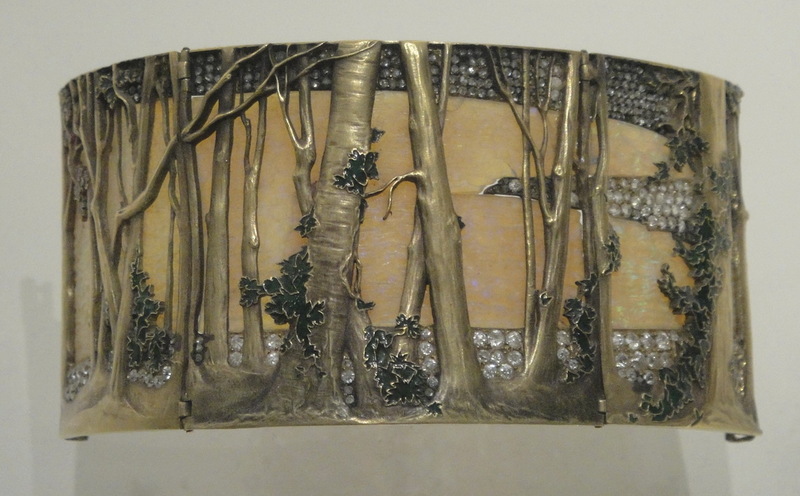 These — at the Gulbenkian — are extraordinary; and my favorite is the one at the top.